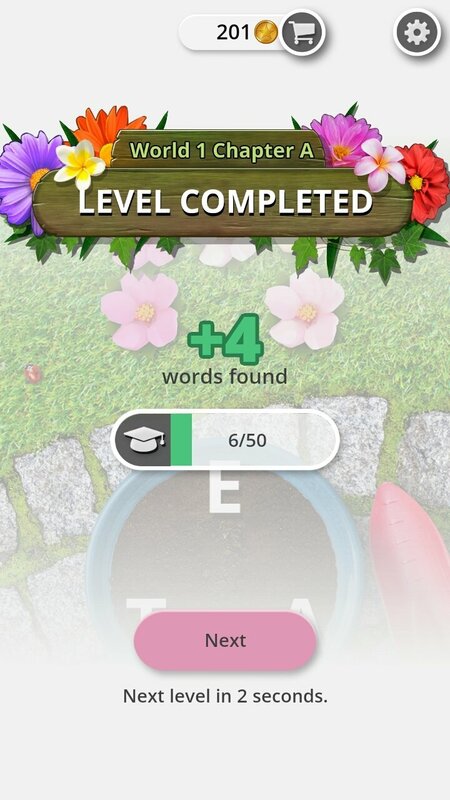 If you're into games about finding hidden words, you definitely have to download Garden of Words. 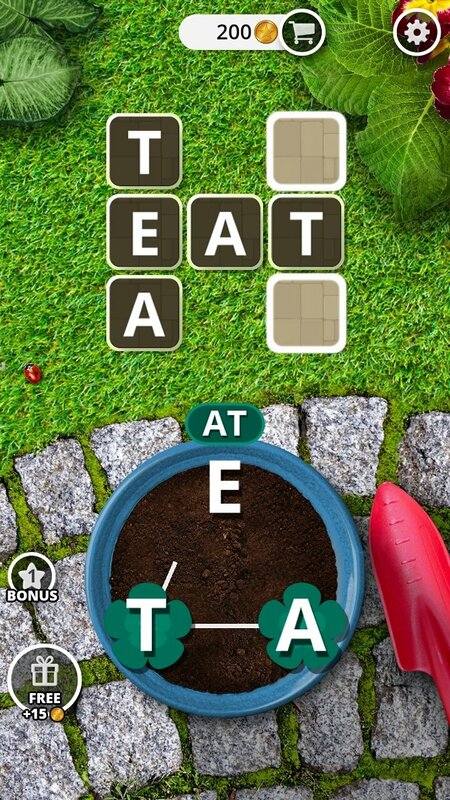 Here, you'll have to build words by joining the letters that appear on the bottom panel to then place them on the upper board. Once you've completed the panel, you'll automatically promote to the next level. 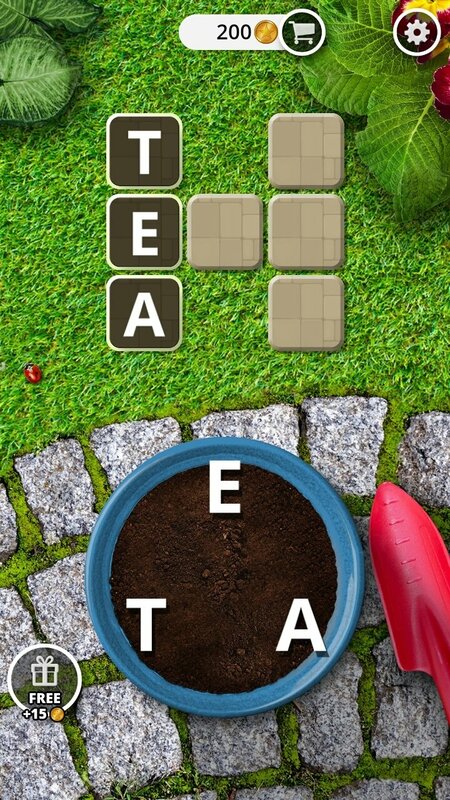 Swipe your finger through the letters to make words. 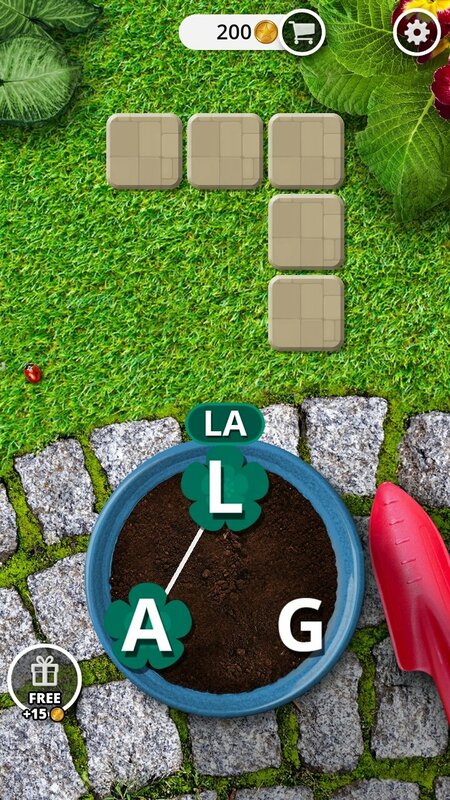 Garden-based wallpapers. 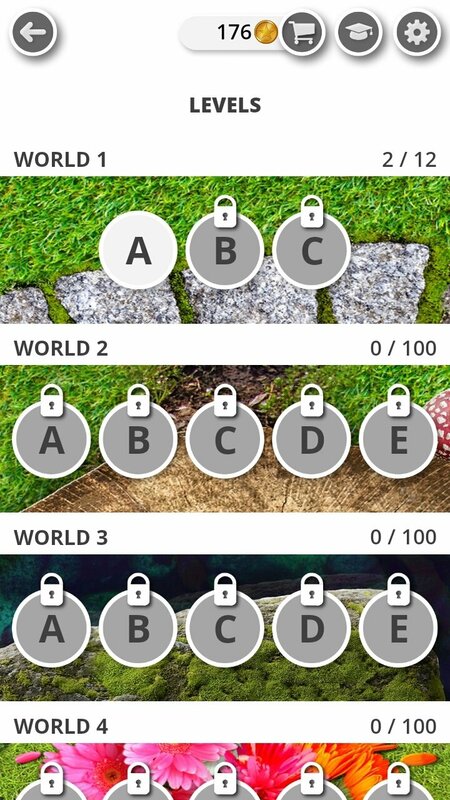 As you increase your level, there will be more and more backgrounds available. 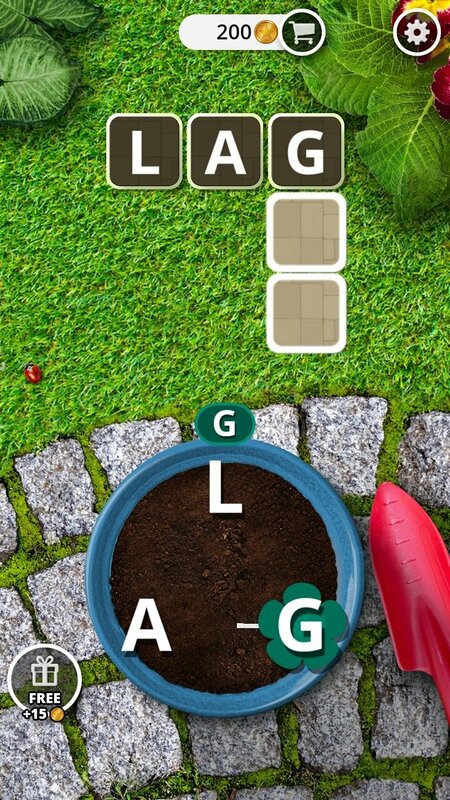 Over 700 puzzles in 8 different languages. 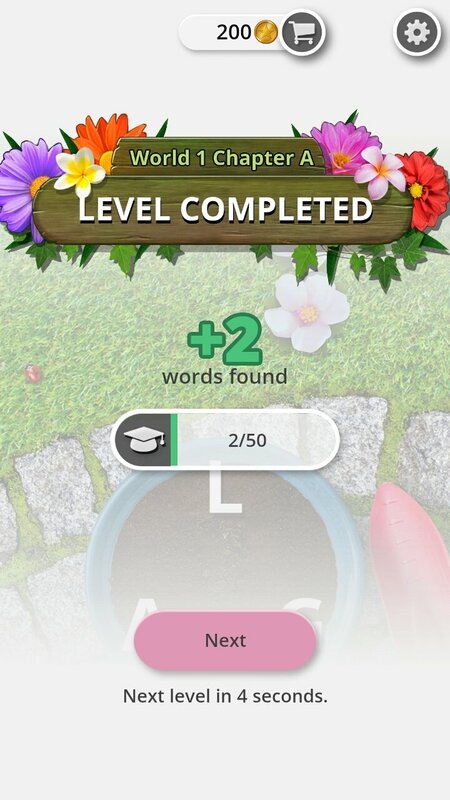 Find thousands of hidden words to be unlocked. 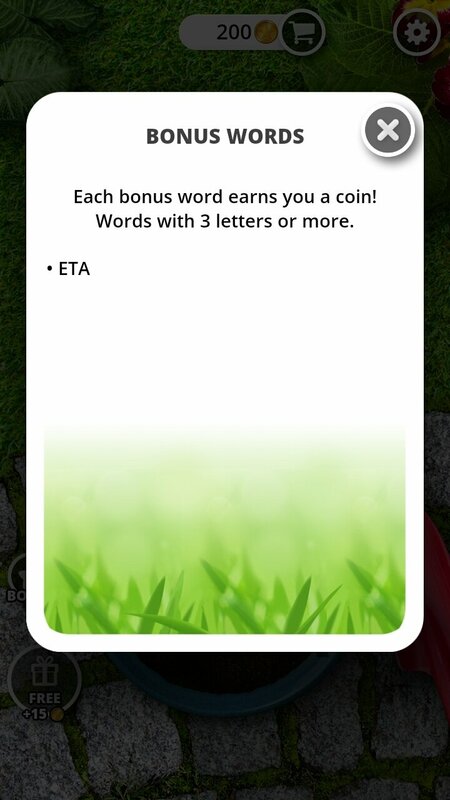 Find hidden words and receive special rewards in the form of coins. 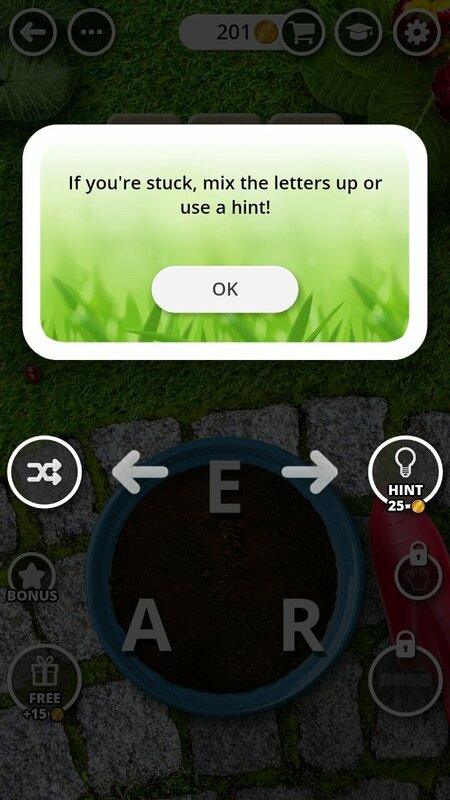 Ask for clues to find words when you get stuck. 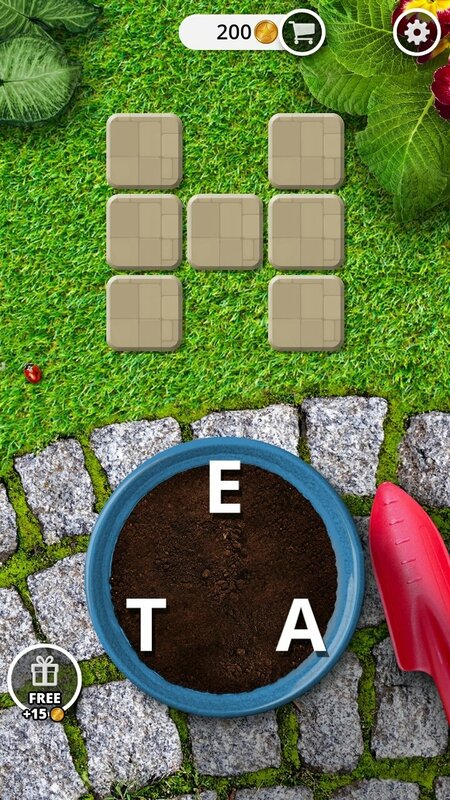 One of the main advantages of this word search game is that it can help us to learn vocabulary in different languages. It's as easy as switching the configuration and practicing our spelling and memory.